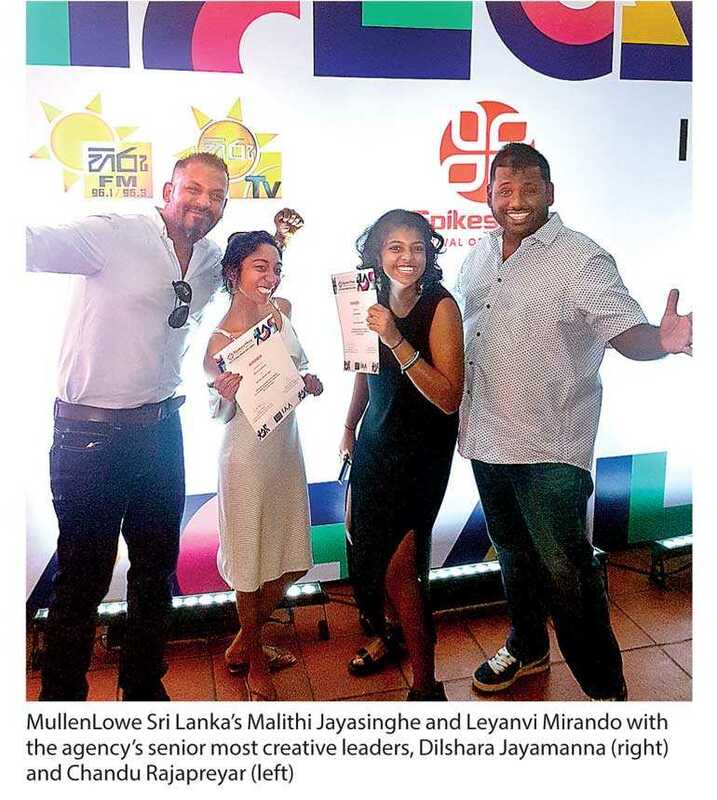 Leyanvi Mirando and Malithi Jayasinghe of MullenLowe Sri Lanka will be representing Sri Lanka at the upcoming Young Spikes 2018 held in Singapore. The duo beat 19 other teams in the digital category at the recently concluded Sri Lankan leg of the Young Spikes with their winning idea “Help them cheat”. The idea was designed to enable GCE O-Level students affected by floods and low connectivity to use someone else’s short notes as their own to face the exam. It showcased the duo’s brilliant understanding of consumer habits as well as an in-depth knowledge of digital platforms. The local Young Spikes competition saw 61 teams across four categories – digital, media, PR, and integrated – vie for the opportunity to represent Sri Lanka at the main competition in Singapore. The competition challenges teams to think creatively and tests their knowledge in their given field. As the region’s oldest and most prestigious award for excellence in the creative communications industry, Spikes Asia brings together some of the finest creative thinkers from around the world providing them with a platform to network and exchange ideas. The competition itself allows young creatives to showcase their talent by solving a client’s problem in a high pressured environment brought on by a short deadline. The company dominates the top 10 most advertised categories by 80% and the top 20 most advertised categories by 50% making it by far the largest creative agency in the country.